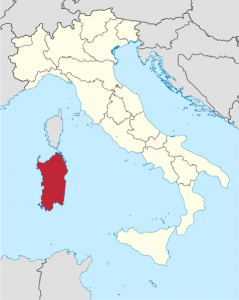 Recognized as one of the most ancient geological land masses in Europe, Sardegna expresses a fascinating history. Its diverse rocks date back 500 million years and now lay the groundwork for distinct vineyards that encompass granite, schist, basalt, limestone and sandstone (to name a few). Human settlements are recorded as early as 6000 BC. However, the most notable permanent occupation is that of the Nuraghi people around 1500 BC, whose ruins are still in existence to this day via stone fortresses (roughly 5000 +). Many of these structures were built on the interior of the island as to protect against centuries of foreign invasion. To this point many vineyards have been historically cultivated inland as to avoid the vulnerable coastlines. Today we see a lot of the fruity or mineral whites that pair well with foods of the sea, but the aromatic and earthy reds that match the inland classics like suckling pig are the real gems to discover.